One of the members of Pope Francis’ commission on issues of clergy sexual abuse has responded to the controversy sparked by the group’s decision to ask another of its members to take a leave of absence from their work, reports NCR Online. 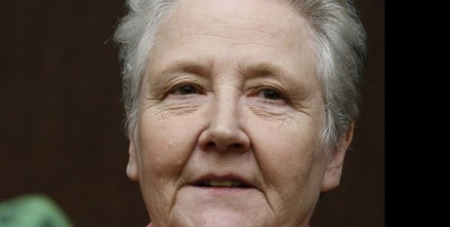 Marie Collins, an Irish abuse survivor who is one of the 17 members of the Pontifical Commission for the Protection of Minors, wrote yesterday in a statement for NCR that the leave of absence request arose after a “difference in understanding of the mission and the powers” of the group. Collins’ article was the first public response from a commission member to the controversy over the leave request for Saunders, a British abuse survivor and founder of the UK’s National Association for People Abused in Childhood. The commission issued a short statement on Saturday announcing the decision, saying “it was decided” during the group’s meeting in Rome this weekend that Saunders would take the leave. But Saunders disputed that statement, telling reporters at a press conference later in the day that he did not accept such a leave and is now seeking a meeting with the Pope to discuss the matter. Collins wrote that Saturday’s vote arose following a discussion amongst commission members on the group’s role in advising the pope. “If a member cannot commit to work on policy development – which undoubtedly is laborious, tedious and slow – while the other members are deeply committed to it, an impasse is reached,” she stated.